PokeSimulator Mod for Minecraft PE 0.10.X give you the opportunity to transform into 70 different Pokémon, each of which has its own unique abilities! Each Pokémon has its own unique model. A total of 70 different Pokemon and each has one of the five abilities (normal, fire, water, thunder and grass). 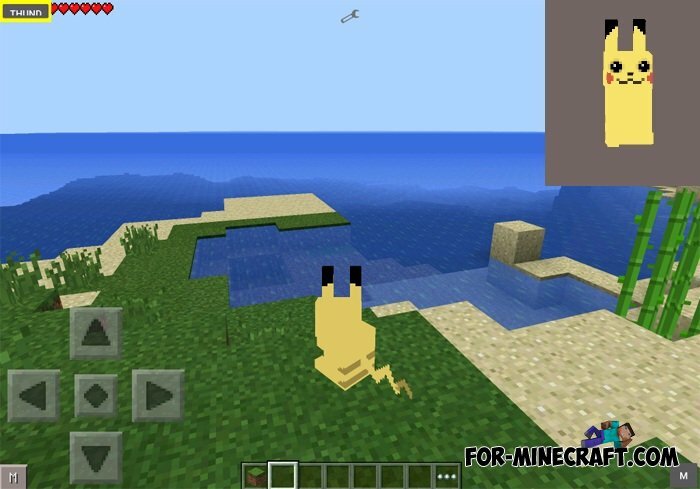 Pokecube PE v4 mod for Minecraft PE 0.10.5PokeCube adds a lot to do with Pokemon! Yes, yes you are right to understand the main characters from the famous cartoon Pokemon.